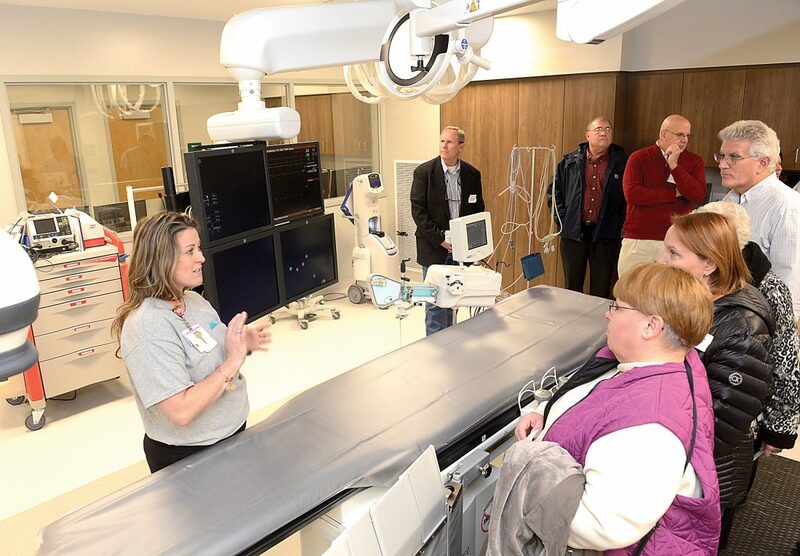 ROARING SPRING — Starting today, Conemaugh Nason Medical Center offers regional residents an option when it comes to diagnosing and treating heart and blood vessel problems with its opening of a $3.1 million heart catheterization laboratory. During a cardiac catheterization, a tiny tube called a catheter is placed into a blood vessel so that imaging dyes and small equipment can be passed through. The procedure enables health care providers to examine the heart and blood vessels and is used to look for blockages in arteries, check heart valve function, measure blood flow and place stents in arteries when they are narrow or blocked. In a medical emergency, it helps physicians diagnose heart problems and provide life-saving treatments. Vascular studies of other areas, such as a patient’s legs, can also be done in the cath lab. Harclerode recounted how cardiologist Hany Shanoudy came to his office three years ago — his first day on the job. “The first physician I met was Dr. Shanoudy, and he said to me, ‘You need a cath lab; I need a cath lab; and most importantly, our residents need a cath lab,'” he told employees, government officials and members of the community at a ribbon cutting ceremony Monday. “This is a huge day for us. We expect to do hundreds of procedures a year that will be life-saving. It may even mean the difference between life or death. It’s a better health care model for our community,” Harclerode said. Hospital officials expect to draw cath lab patients from the region, from adjacent rural areas of Blair, Bedford and Huntingdon counties. 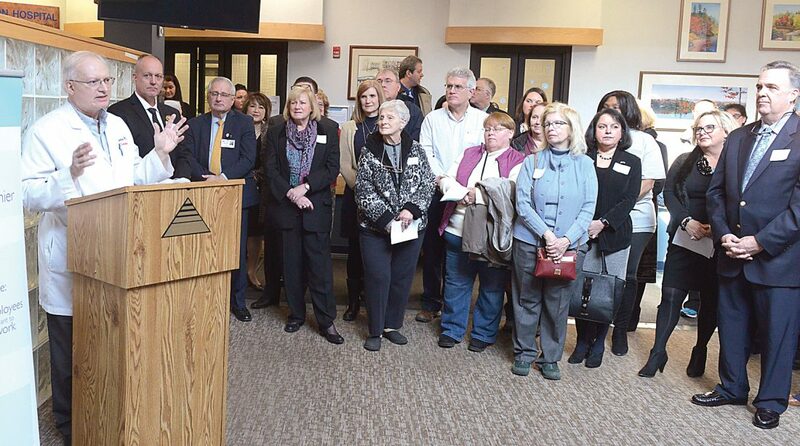 “Our patients who are over 65 are often a little timid to go to other places for such things so this will help them, especially with followup,” said Dr. Joseph W. Gattuso Jr., who spoke on behalf of Cardiology Associates of Altoona. Cardiology Associates and Central PA Physicians Group will treat patients at Nason. Jenn Shade, cath lab manager at Conemaugh Nason, said state of the art technology provides “crystal clear images” at the highest image quality available. The hospital hired eight full-time employees, including registered nurses and cath lab technicians. State Sen. Judy Ward, R-Blair, said she worked with former Sen. John H. Eichelberger Jr. in obtaining some state grants for the new facility. A former registered nurse who worked in cardiology, Ward said the opening provides greater access to health care.